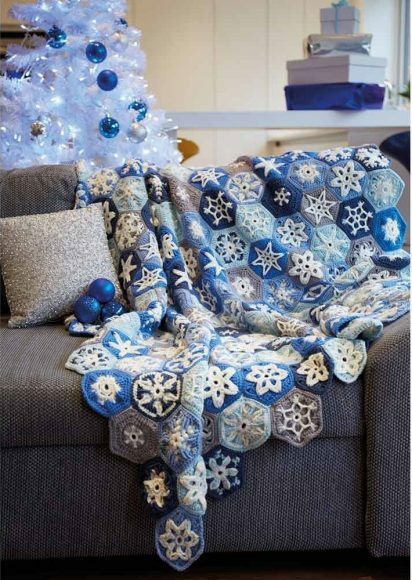 My Snowy Blanket is in Crochet Now magazine issue 21. It comes as a supplement to the magazine along with a hexagon blocking board as free gift! 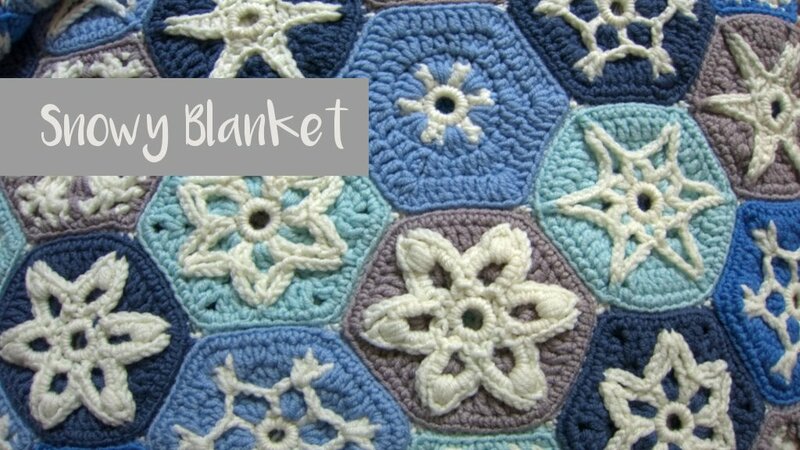 The blanket is made from 12 different hexagon designs and each hexagon has a different snowflake design. There are designs for each skill level; Beginner-Friendly, Adventurous, Advanced. Don’t be scared of the advanced patterns though! 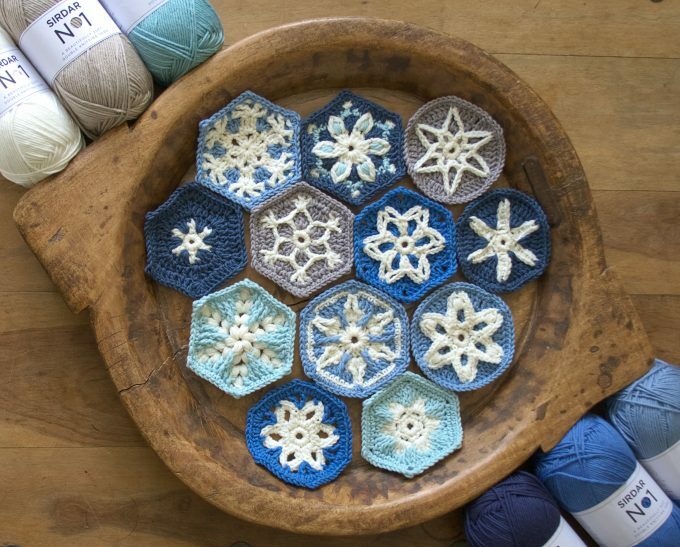 There are four designs for each skill level and all the hexagons will fit onto your blocking board. You can see in this picture each of the designs . Which one is your fave?? You can purchase the colour packs to make the blanket from Black Sheep Wools. All the yarns used are Sirdar yarns. There are two palettes using their new yarn Sirdar No1 and another using Sublime Extra Fine Merino. 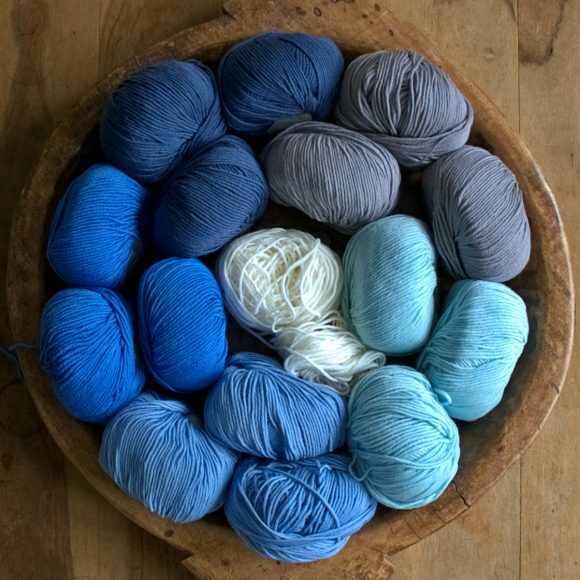 A palette of blues with white and taupe in Sirdar No1. It’s an acrylic/nylon mix (double crepe) which is just delightful to work with and has a lovely sheen. 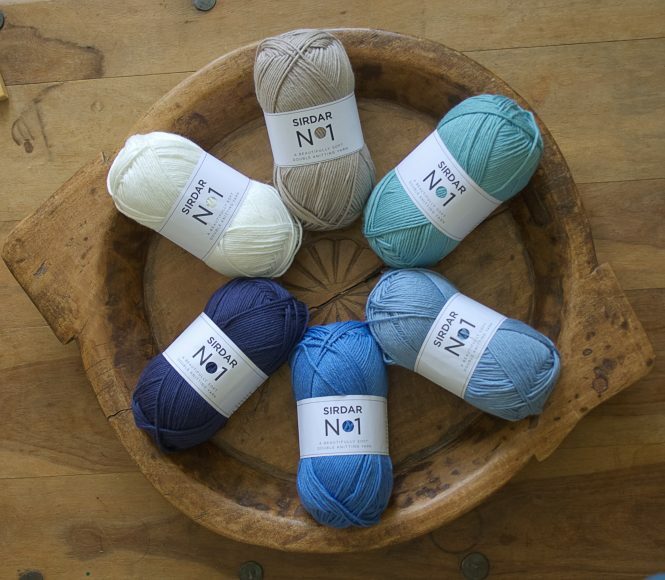 You can purchase your Snowy Skies colour pack from Black Sheep Wools by clicking here. A palette of blues, taupe and of again. This is the yarn used for the finished blanket in the magazine. Its one of my favourite yarns and there is nothing nicer than a merino blanket! So snugly! 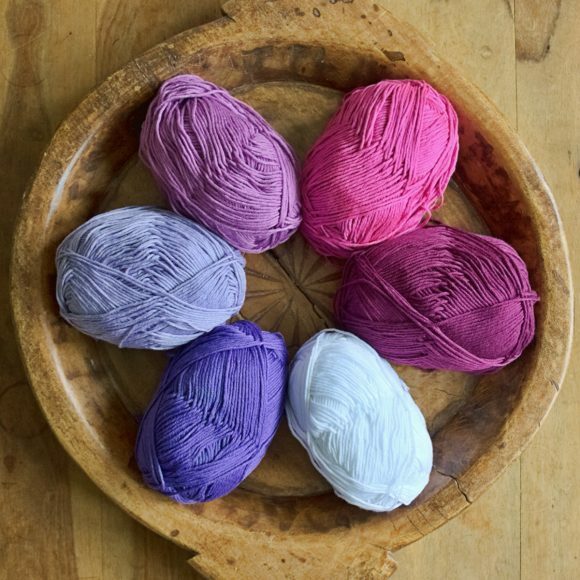 You can purchase your Snow in the Air colour pack from Black Sheep Wools by clicking here. A palette of pinks and purples with crisp white for the snowflakes. A gorgeous colour pack for a more feminine blanket. You can purchase your Snowflake Princess colour pack from Black Sheep Wools by clicking here. 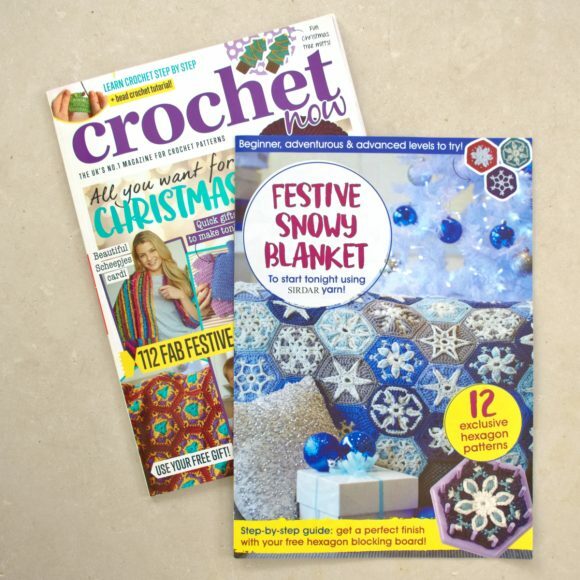 Get your copy of Crochet Now Magazine Issue 21 here. 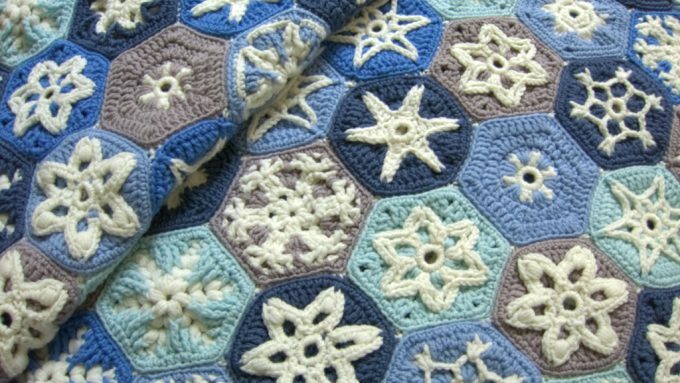 There are lots of fab patterns in there and you’ll get the supplement with my blanket design and a really handy hexagon blocking board. You can find out where you can get your hands on a copy from here. I hope you all enjoy making your own Festive Snowy Blanket! If you are posting your projects on Ravelry you can find the pattern link here. 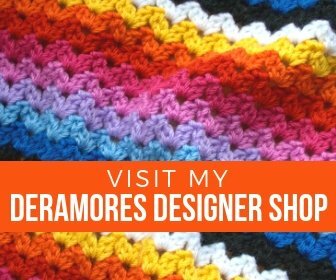 I’m always here if you need a little help and I just can’t wait to see your projects! Update March 2018 – Now available online!! Festive Snowy Blanket is now available in both American and British crochet terms. 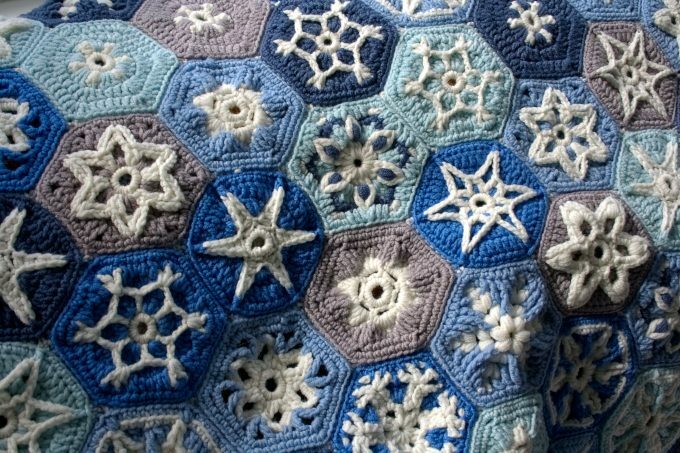 You can get your copy from my shop here (link to Festive Snowy Blanket) or in my Ravelry store.